Baddie – Convoluted horror plots. Lesson – Pick one thing. ONE. The Lazarus Effect had a lot of promise. A contemporary Frankenstein, or all the Lovecraftian implications of Re-animator. 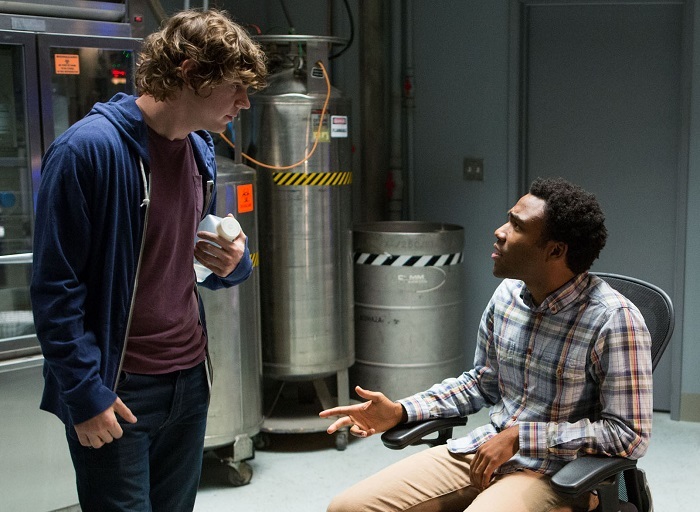 It has a stellar cast with American Horror Story‘s Evan Peters, Community‘s Donald Glover, the ethereal Olivia Wilde, and The Mindy Project‘s Mark Duplass. The methodology was solid. Featuring a small set, the movie takes place almost entirely in the labyrinthian basement lab. It’s difficult for the viewer to get their bearings visually. There are tight corners and dark pockets and plenty of opportunity for suspense. This is very effective for the first twenty minutes. It’s difficult to balance science with horror. It’s hard to predict where an audience’s suspension of disbelief will start and end. Some movies are really good at that balance, like The Fly or even Deep Blue Sea. These are movies that let the viewer accept a simple pretense and build on that. It’s the root of the horror – transformation, smart sharks, etc. That’s where the cinematic gold is, it starts with a “What if,” question that plants the little seed of horror and let’s the audience’s imagination take over. 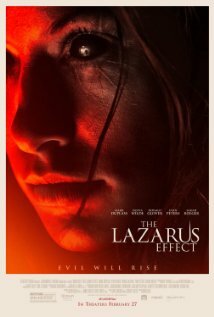 The Lazarus Effect fundamentally fails on this level, and that attitude sets the tone for the other downfalls. My largest complaint is a common one. The Lazarus Effect is too much. The premise itself is enough – raising people from the dead is a bad plan. It’s an unnatural process. It messes people up. It could have hidden implications on a religious level, a chemical level, or both. Lots of horror movies deal with the trope, “They thought so hard about ‘could we’ that they didn’t consider ‘should we. '” To me, it seemed like they were not really sure what their special bend on that trope would entail so they threw a bunch of things at it and hoped one would stick. What we end up with is a group of scientists conducting secret/illegal and yet grant-funded research about resurrection to prolong the sort of grace period that patients have between life and death. This appears to not be reliant on brain-death, and they successfully resurrect a long-dead (but not decayed) dog. This is all accomplished with the Lazarus Serum, a protein accidentally discovered by Olivia Wilde’s character Zoe. The serum causes hyper-activity in the brain of the dog, which is bad news for…reasons, I guess. The dog gets aggressive, but that’s about it. Naturally, a secret organization swoops in and steals all their research, so Olivia Wilde has to pull out her extra IV bag of serum to replicate the experiment. Naturally, she dies during this transaction, and naturally her fiancee decides to skip right ahead to human trials. At this point I’d like to mention that there is a heavy dose of Catholicism in this movie, and also there’s a bit of a love triangle AND there’s a filmmaking student involved but she doesn’t matter because they don’t take advantage of her at all. Basically, there’s a ton going on. Somewhere, the movie makes a drastic switch to a…possession…story…not really? Zoe, having recently been resurrected, has her brain activity go off the charts. She develops psychic powers, and she gets angry. Pissed, really. Convinced that she was in hell, because of her small transgression as a child that resulted in some people dying. She’s spent her whole life trying to make up for that sin. She’s the most Catholic character (we’re reminded several times) but she’s clearly feeling the whole doubt-thing. Obviously raising people from the dead matches the pinnacles of Catholicism…right? My eyes rolled so much in the second half of this movie. Now, plot aside, the graphics and effects are frequent and unabashed. It’s distracting and dumb. It’s also definitely not scary. By the end, I was chuckling. 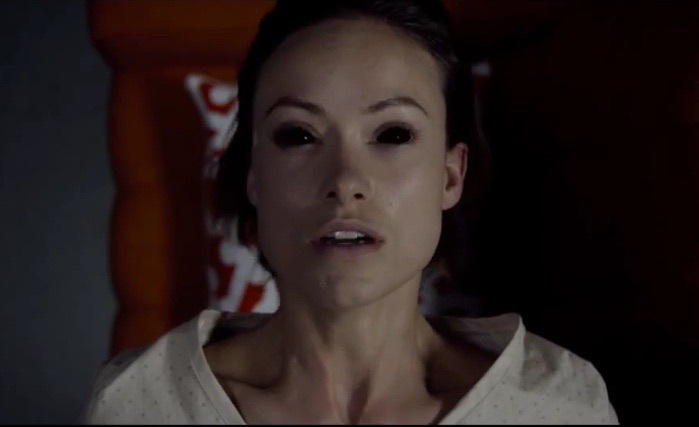 Oliva Wilde, bless her heart, is not very scary. Well, I take that back. She is good at being disconcerting, but this whole movie felt very amateur for her. I can’t say that the entire movie would have been better if it had featured a scarier lead, but it might have helped. This might be the first time where I complain about sound editing. There were several moments where a sound effect didn’t quite line up with the visuals, and they abuse my favorite aria of all time. 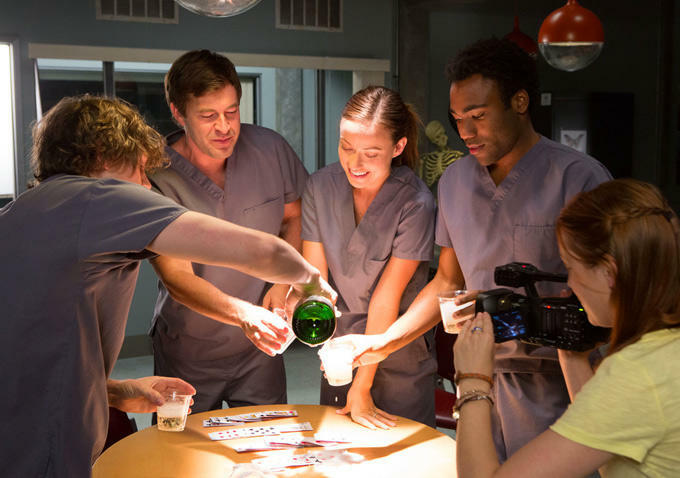 I don’t know if they were trying to juxtapose something classically beautiful with the sterile lab, or what, but it’s kind of a jarring aria for that purpose. It’s very energetic and technically complex, and frankly there were many other pieces of music that would have lulled the audience into a false sense of security. To sum up – Convoluted plot, mediocre characters and acting, not scary, terrible twist. Hollywood, you can do better than this.